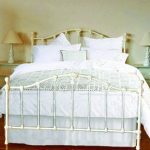 Colour – Antique White. 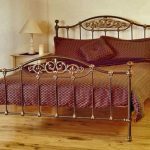 An old French style classic cast bed; from the days of Napoleon and Josephine! 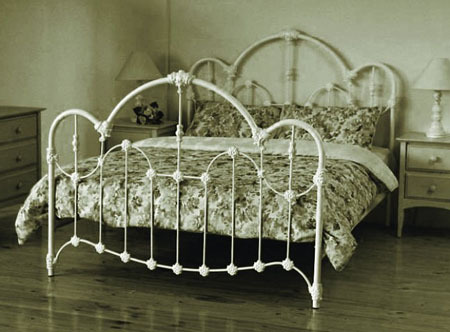 Attractive curved outer frame with delicate hand formed curves and decorative castings oven baked powder coat finish. Head and Matching Foot complete with base frame & slats.